You know exactly what you want in life. But you can’t seem to get there. You have all these resolves. You’re going to get healthy. You’re going to write that book. You’re going to be more present with your loved ones. You’re going to start that home-based business. You’re going to learn another language. You’re going to be more patient and happy. You’re going to get out of debt. You’re going to be more organized. You’re going to be a better friend. You’re going to overcome bad habits. But the problem is: Doing these is really hard. And it gets harder every day. Some days, it seems more realistic to just give up entirely. The whole taking one step forward and one or two steps backward pattern is getting old. When there’s a gap between who you are and who you intend to be, you are incongruent and unhappy. You’re torn, mentally exhausted, and regretful. You always slightly feel like a fraud to yourself, and probably to the people around you. If you try to tackle everything wrong in your life, you’ll quickly burn-out and quit. It’s happened many times before. Life is super busy. You don’t have time to focus on a thousand different areas of your life to change. That’s exhausting, and frankly, not helpful. More effective than microscopically analyzing your sabotaging behaviors, is nailing down a “keystone” habit — which tightly locks all of your other habits in place. Without the keystone, everything falls apart. A person might start exercising once per week, and unknowing begins eating better and being more productive at work. She begins smoking less and showing more patience with her colleagues and loved ones. She uses her credit card less, feels less stressed, and has increased motivation toward her goals. The ingrained patterns in her brain reform and she becomes an entirely different person. All because she started exercising once per week. You acquire one of these habits and everything in your life can change. Keystone habits spark a chain reaction of other good habits and can rapidly alter every aspect of your life. Journaling daily is the most potent and powerful keystone habit you can acquire. If done correctly, you will show up better in every area of your life — every area! Without question, journaling has by far been the number one factor to everything I’ve done well in my life. The problem is, most people have tried and failed at journaling several times. It’s something you know you should do, but can never seem to pin down. After you read this post, you’ll never want to miss another day of journaling again. Most people live their lives on other people’s terms. Their days are spent achieving other people’s goals and submitting to other people’s agendas. Their lives have not been consciously organized in such a way that they command every waking, and sleeping, moment of their life. Instead, they relentlessly react at every chance they get. For example, most people wake up and immediately check their phone or email. In spare seconds, we hop on Facebook and check the newsfeed. We’ve become addicted to input. Or in other words, we’ve become addicted to reactively being guided by other people’s agendas. On the other hand, Josh Waitzkin, author of The Art of Learning, wakes up and immediately writes in his journal for 30 minutes. He does this because while he’s been sleeping, his subconscious mind has been brewing, scheming, problem-solving, and learning. So when Josh wakes up, he rushes to a quiet place and engages in a bust of intellectual and creative flow. I recently wrote about the importance of morning routines. If I were to re-write that post now, I’d include my journal. I’ve been doing this the past few weeks and its reframed my entire approach to life. Additionally, I’ve never before had so many creative ideas crystallize. Creators focus on outputs rather than the general populace who focus on inputs. In their free moments, creators utilize their subconscious breakthroughs. Their days are filled with creative bursts, making them incredible at their craft. If you want to have more creative flow in your life, stop checking your social media and email so much. Check them once or twice per day. Detach from the addiction to numb your mind and escape reality. Instead, get lost in the creative projects you’ve always wanted to do. As part of your morning creative burst, use your journal to review and hone your daily to-do list. Review and hone your life vision and big picture goals. As you read and re-write your goals daily, they’ll become forged into your subconscious mind. Eventually, your dreams and vision will consume your inner world and quickly become your physical reality. People struggle drastically to detach from work. More now than ever, we fail to live presently. Our loved ones are lucky to experience a small percentage of our attention while they’re with us. However, utilizing your journal can curb this mismanagement. At the end of your work day, re-open your journal and review your to-do list from that day.If your morning journal session was excellent, you’ll have likely gotten everything done you intended to do. Private victories always precede public victories. Journal sessions are your post-work reflection time. Account to yourself what you got done that day and what needs to be moved to tomorrow. Write the things you learned and experienced. Lastly, direct your subconscious by writing about things you want to focus on tomorrow. As you put work behind you for the evening, your subconscious will be preparing a feast for you to consume during your next morning’s creative and planning session. This end of the workday journal session need not be as long as the morning session. Greg McKeown, author of Essentialism, recommends writing far less than you want to — only a few sentences or paragraphs at most. This will help you avoid burnout. A primary objective of this session is to mentally turn-off work-mode. Just as in physical training, you need to rest and recover between work days in order to get stronger. Use this session to completely unplug and detach from work. This is your time to recover and be present with your loved ones — there is more to life than work. The higher quality your recovery, the more potent and powerful your creative sessions will be. This keystone habit has so much power! By journaling in the morning and evening, you’ll quickly see the incongruencies in your life. You’ll see crystal-clearly what needs to be removed and what should be included in your life. Journaling is a beautiful and powerful facilitator of self-discovery. My own journaling is how I’ve come to form my sense of identity and path in life. Not only will you have more clarity about your path in life, but journaling improves your ability to make small and large decisions along the way. On the pages of your journal will be the future world you are creating for yourself. You are the author of your life’s story. You deserve to be happy. You have the power to create whatever life you want. As the designer of your world, get as detailed as you desire. When you are in an intensely emotional mood, journaling can help you more fully experience and understand those emotions. After you’ve vented on the pages of your journal, you’ll quickly find a release. Objectivity will return and you’ll be able to move forward. Without a journal, intense emotional experiences can be crippling for hours, days, and even years. However, an honest and inspired journal session can be the best form of therapy — quickly returning you better and smarter than you were before. Humans are bad at retaining information. We forget most of what we read and hear. However, when you write down the things you’ve learned, you retain them far better. Even if you never re-read what you’ve written, the simple act of writing something down increases brain development and memory. Neurologically, when you listen to something, a different part of your brain is engaged than when you write it down. Memory recorded by listening does not discriminate important from non-important information. However, writing creates spatial regions between important and non-important pieces of information — allowing your memory to target and ingrain the important stuff you want to remember. Furthermore, the act of writing allows your subconscious mind to work out problems in unique ways, intensifying the learning process. You’ll be able to work out problems and get insights while you ponder and write about the things you’re learning. Even if you start a journal session in a bad mood, the insight writing brings has a subtle way of shifting your mind towards gratitude. When you start writing what you’re grateful for, new chambers of thought open in the palace of your mind. You’ll often need to put your pen down and take a few overwhelming breathes. You’ll be captivated not only by the amazing things in your life, but by the awe and brilliance of life in general. As part of your morning and post-work journaling sessions, be sure to include some gratitude in your writing. It will change your entire life orientation from scarcity to abundance. The world will increasingly become your oyster. I became a writer through journaling. While I was on a mission-trip, I wrote in my journal for one to two hours per day. I got lost in flow and fell in love with the writing process. Help you discover your voice! 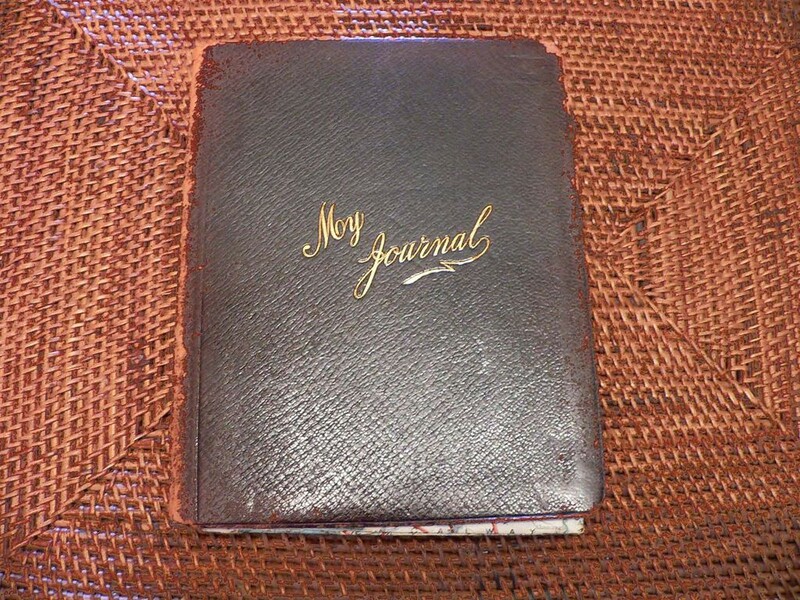 I started journaling in 2008 after reading an article about the importance of journal writing. In the article, the author described how much journaling had changed her life. She said that after all these years, she now has 38 recorded volumes of personal and family history. After finishing that article, I have never stopped writing in my journal. In my family room on a book shelf are 20-plus journals filled with my thoughts and experiences. I’m certain they will be cherished by my ancestors as I’ve cherished the writing of my loved ones who have passed on. I dare say that journaling is one of the most important things to do in your life. If done effectively, it will change everything in your life for the better. You’ll become the person you want to be. You’ll design the life you want to live. Your relationships will be healthier and happier. You’ll be more productive and powerful.